At present, all the barriers has been broken and borders has been crossed with the help of internet. It has helped individuals to stay connected in a much stronger and cheaper way. Whole world, from dating to education, everything is going online, why not invoicing? There is space for everything on the internet. Are you aware of the basic reason behind the same? It is all because of flexibility and accessibility offered by the internet. Regardless of your geographical location or time, Er4u, the best billing software, has the power to keep you updated. Businesses are giving more importance to creating paperless office. One of the biggest example of this revolution is a billing software for shop/businesses. 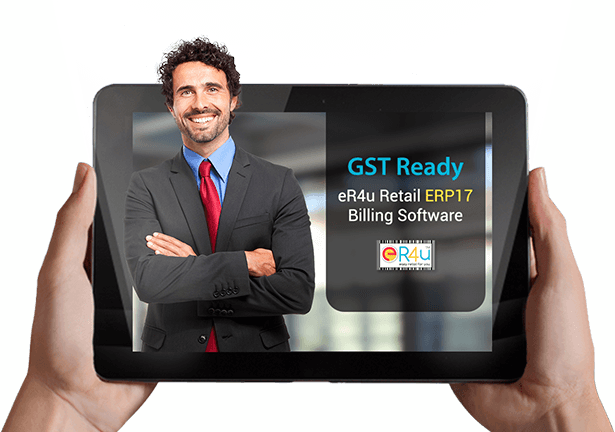 Er4u, the best billing software, has positively changed the way how businesses invoice and communicate. By making use of cloud-based billing software, businesses are being able to perform their daily business activities super easily. Our billing software is way beyond easy-to-use. You just need to install and set up Er4u and you are all set to make use of it. Manpower for a variety of tasks would be no longer needed to run your business. Er4u will automate most of your business activities, and believe it or not, it is going to save plenty of your time, efforts and as well as cash. The need to visit office, access the system and then generate the invoices has been eliminated with Er4u billing software. With cloud based billing software, the complex process of invoicing has been brought down to fit in your palms. You are just required to log in to your account. There on you can access all the information that you need in order to create invoice instantly. Along with letting you to generate and send invoices quickly, Er4u also let you to track them as and when required. You no longer need to ping your clients again and again. This Retail POS Software Will Help You To Save Huge Money! My Zopper Retail Is Not Working Which Software Should Be Used?